Anonymous printing house - an exhibition to celebrate the anniversary of Russian printing. 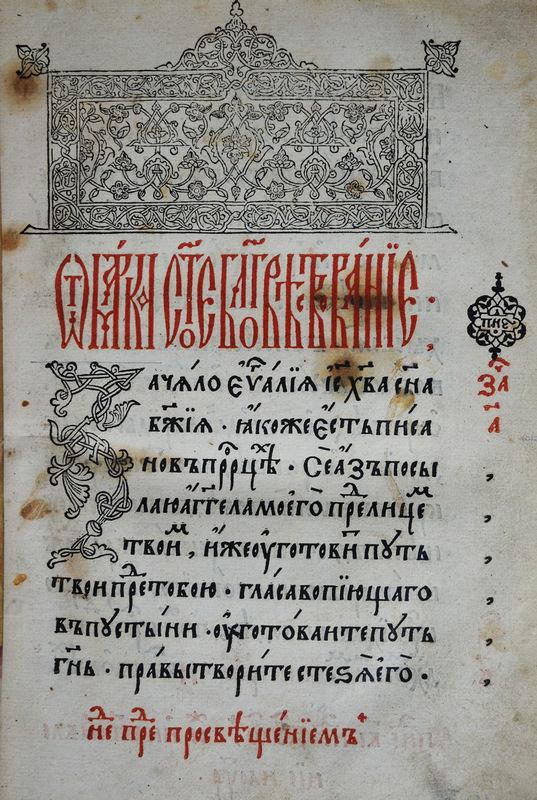 The Acts and Epistles of Apostles issued 450 years ago, in 1564, by Ivan Fedorov and Petr Mstislavets was the first exactly dated Russian book, but it was not the first publication to be printed in Moscow. The first Russian press started to operate in Moscow long before Fedorov. Unfortunately, the press remained anonymous because of the lack of reliable information. 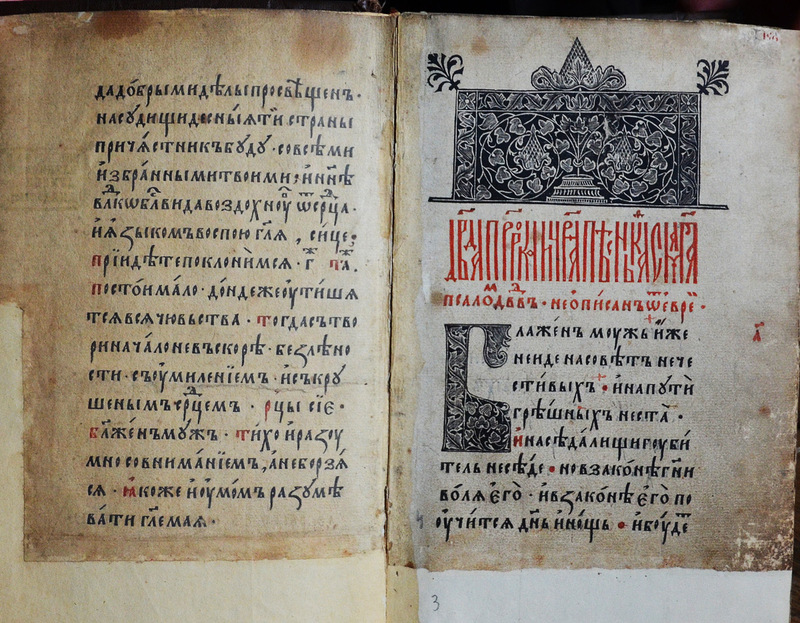 Early printed Russian books did not contain the name of printers and place and date of publication. It was no accident because the vast majority of the handwritten books of that time did not include information of where, when and by whom they were created. 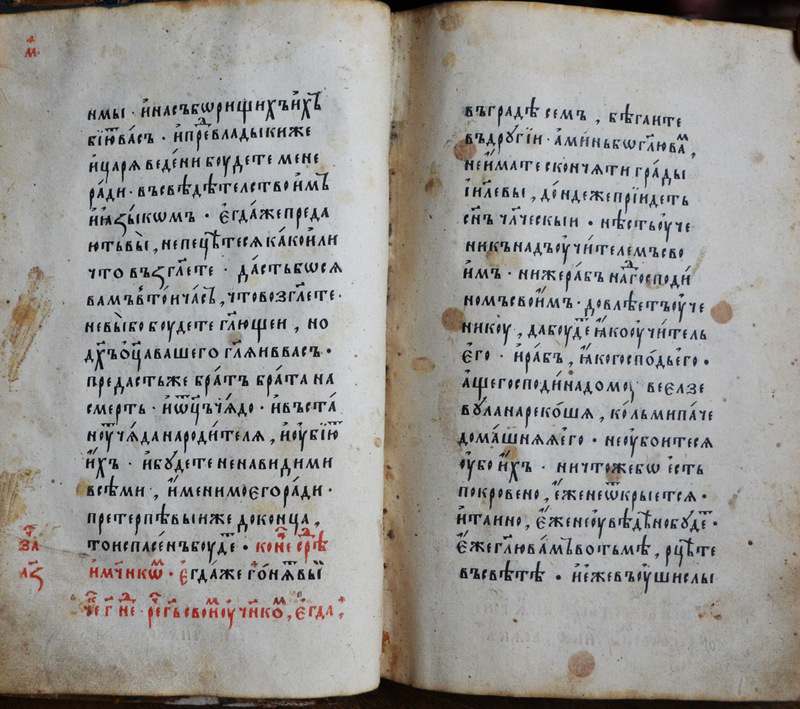 Manuscripts provided a model for the printed books. This is evidenced also by the absence of the aligned margin on the right side of the page. Alignment of the lines was not a difficult and impossible technical task, but printers did not seek a way to solve it, because the text was not lined up evenly in manuscripts. Apparently, the anonymous publishers did not consider printed books to be an alternative to manuscripts and did not separate themselves from scribes and illuminators. They just produced books by new methods that were better than producing books by hand. For the same reason, anonymous publications contained no engraved frontispiece illustrations. 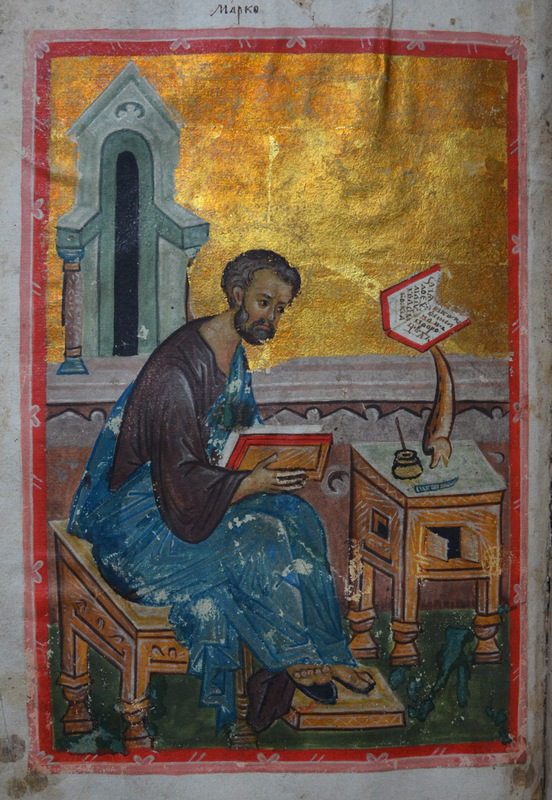 In the first anonymous edition of the Gospels, Matthew's account was prefaced with a headpiece showing a figure of the evangelist. This first attempt to supply a frontispiece picture for a printed book, probably, did not sutisfy the publishers. That is why, they preferred to use only floral ornaments in their subsequent works. Miniatures were added in the printed books later by hand: as a rule, owners of printed copies employed artists to create illustrations. Such hand painted illustrations are found in two copies of the publications housed in the Rare Books Department of our Library. The one of the books is the Gospels, printed in narrow type, the other – the Gospels, printed in wide type. Seven anonymous publications have survived till present time, of which five were issued before the Apostle, in 1564, and two more were published simultaneously with the Apostle or after its release. Five different typefaces were used in these publications. The fonts can be divided into 3 groups. 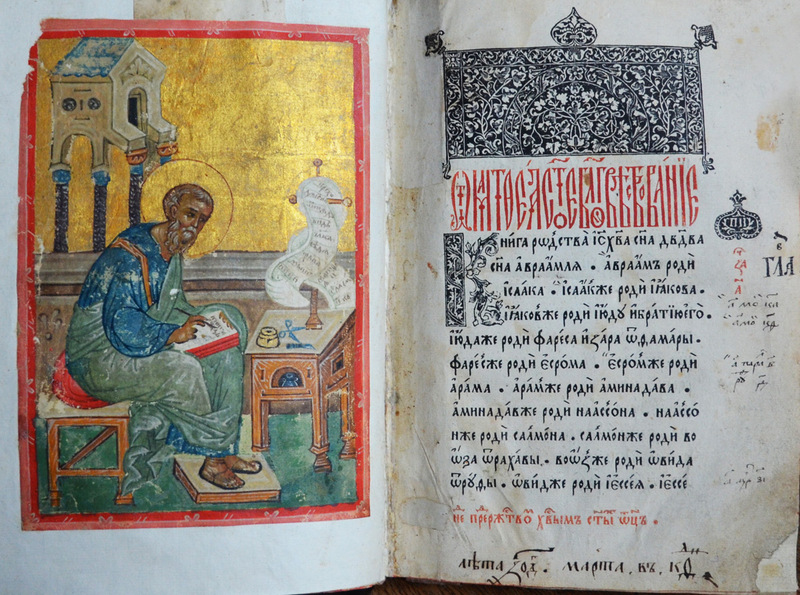 It seems that the Gospels and Psalter, printed in medium type, as well as the Lenten Triodion(a liturgical book for the Lent) were published earlier than the others. They are noteworthy for two rather quite intricate typefaces, large and medium, which are distinguished by not widespread "ligatures" - characters consisting of two or more letters joined together. In addition, some letters in these publications were printed with several variations . 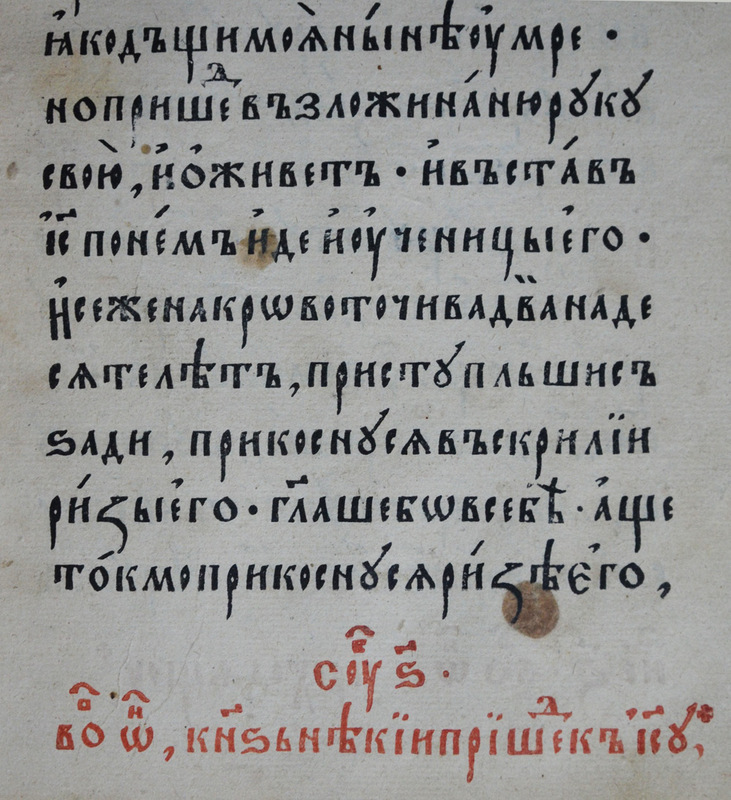 Another notable feature of the mentioned-above Gospels is the two-colour initial letter «З» printed in red and black. At the very beginning of their activity, the publishers easily resorted to unnecessary tricks of their trade, but then preferred to avoid them, after they learned how much effort requires the fulfillment of their whims. 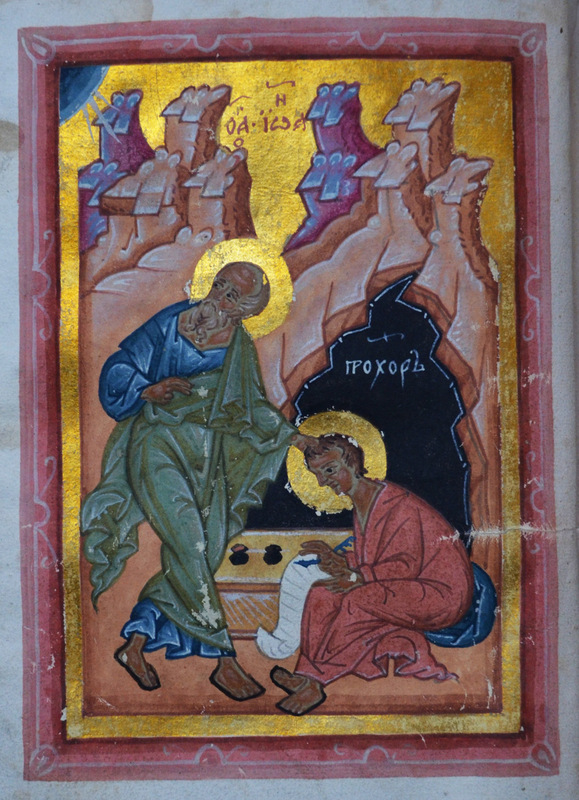 Already in the next Gospels «set in narrow type», the same initial was printed in only one colour. The lettering used in this edition is also simplified. 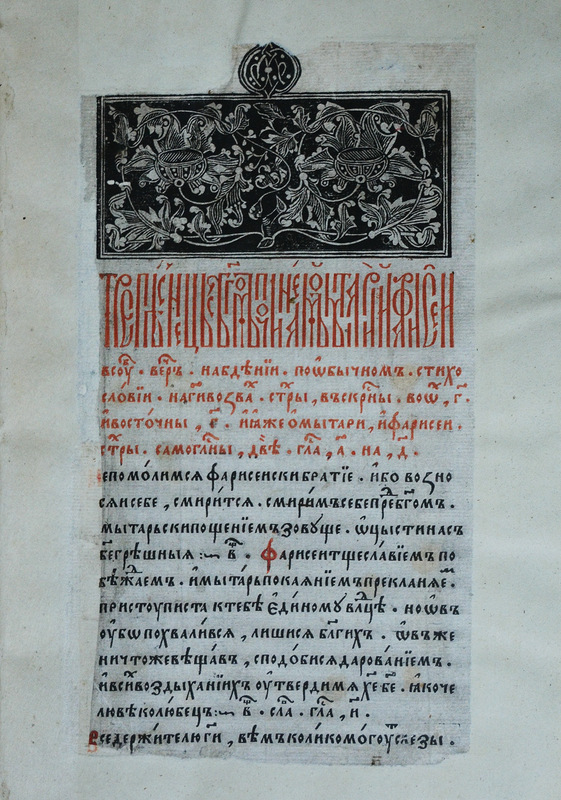 The third group of anonymous publications consists of the Festal Triodion - a liturgical book for the Easter period, as well as the Gospels and Psalms «printed in wide type». All these books were published in the 60s of the 16th century, partly before and partly after Ivan Fedorov and Petr Mstislavets established their printing shop in Moscow. These publications are highly different from other anonymous books; two fonts used in printing were much plainer, and the text was lined up evenly on the right side of the page. 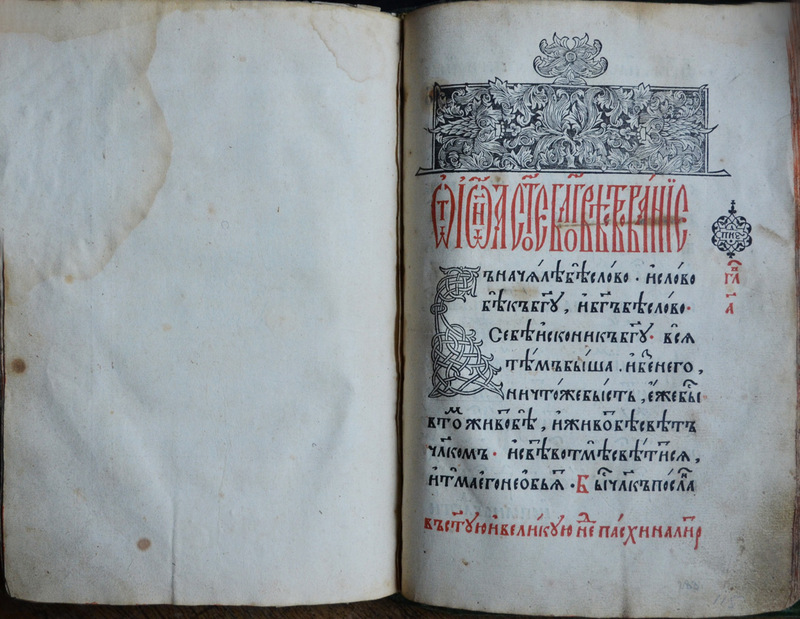 Lack of a clear and well thought-out system of rubrication of text, as well as lack of frontispiece engravings, did not enable the printers to match Ivan Fedorov and Petr Timofeev Mstislavets in their achievements. Gospels. Without place and year [Moscow : anonymous printing house, about 1555]. Fol. 5 v.–6. Psalter. Without place and year [Moscow : anonymous printing house, about 1555]. Fol. 2 v.–1. Gospels. Without place and year [Moscow : anonymous printing house, about 1555]. Fol. 1. Beginning of the Gospel of Matthew. 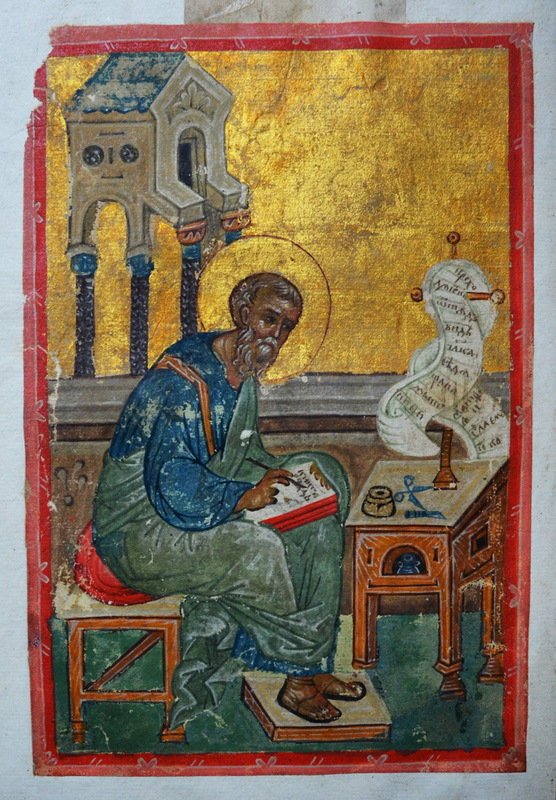 Miniature: St. Matthew the Evangelist. 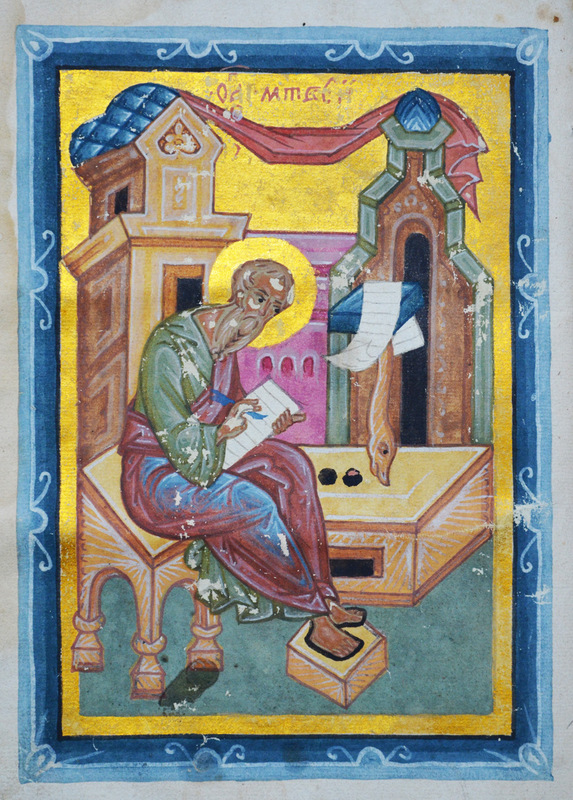 Miniature: st. Mark the Evangelist. 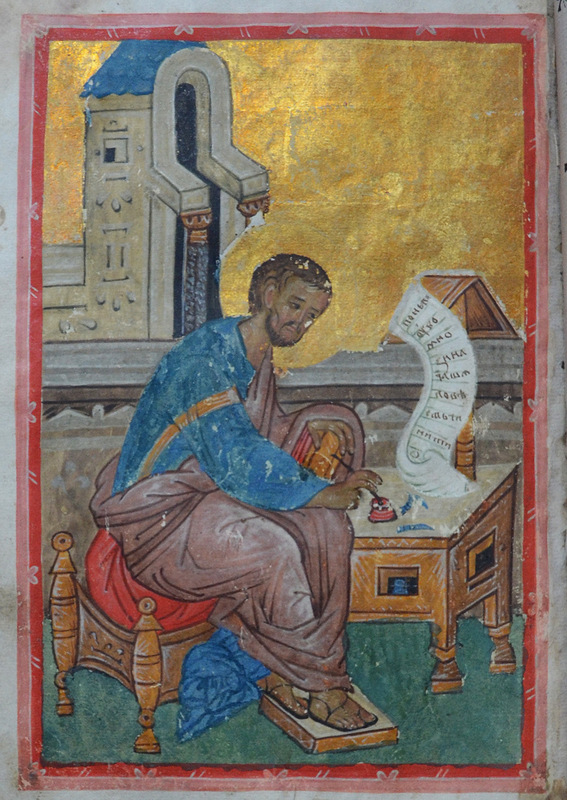 Miniature: St. Luke the Evangelist. 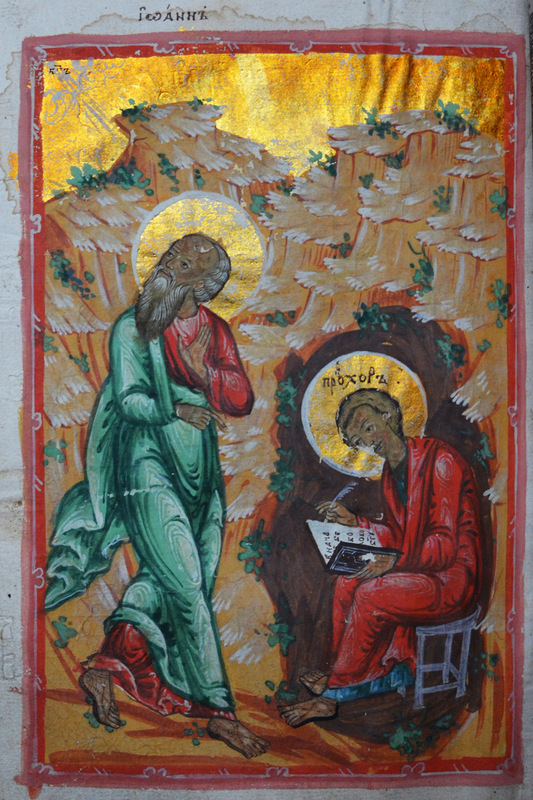 Miniature: St. John the Evangelist and his disciple Prokhor. 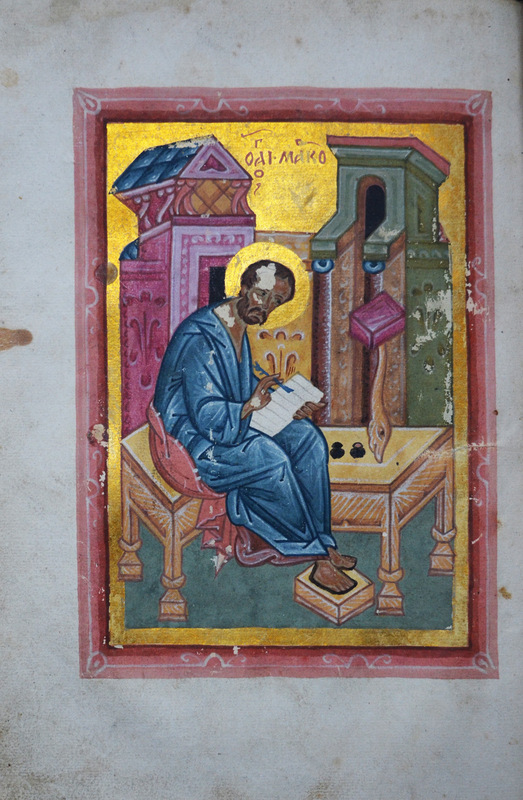 the second shows a figure of an Evangelist; unfortunately, not all of them have survived. 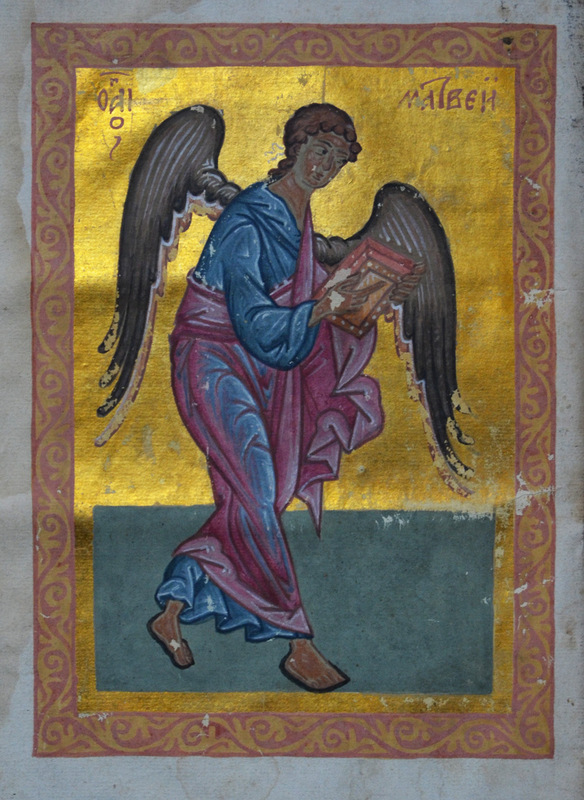 Miniature: The angel symbolizing St. Matthew the Evangelist. 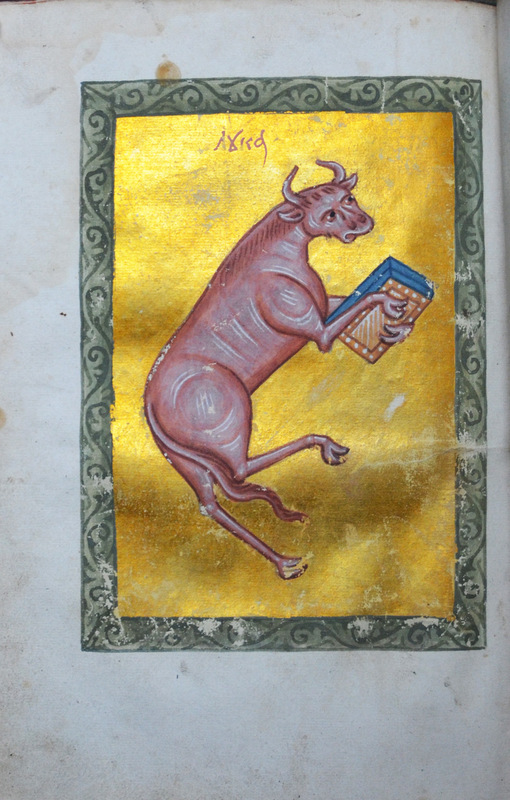 Miniature: The ox symbol of St.Luke the Evangelist. 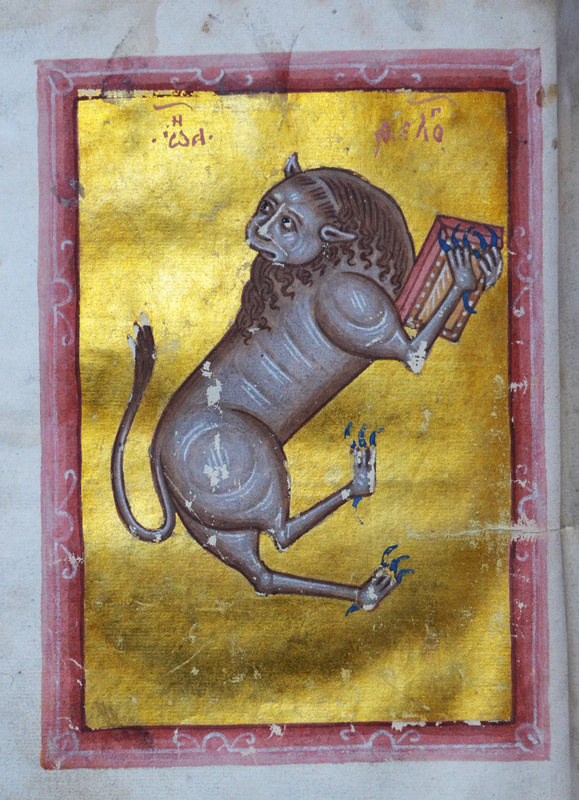 Miniature: The lion symbol of St. Mark. 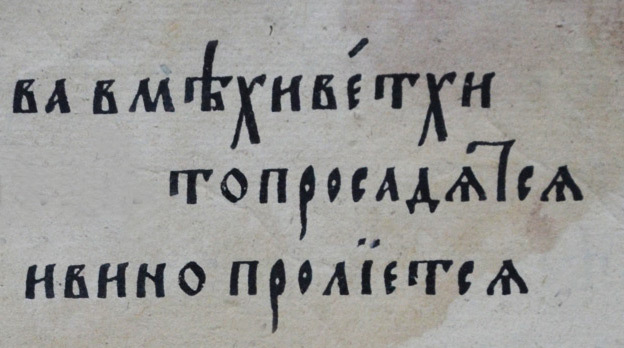 Lenten Triodion. 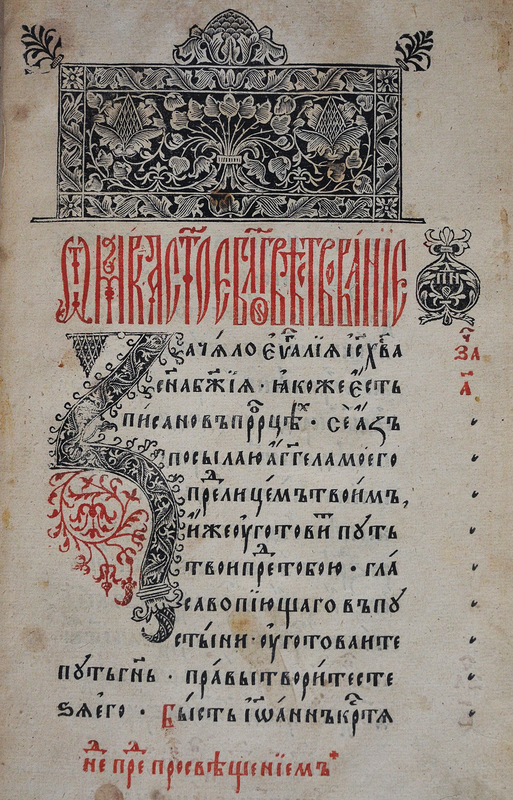 S.l., s.a. [Moscow : anonymous printing house, about 1556]. Fol. 1. Gospels. Without place and year. [Moscow : anonymous printing house, about 1555]. Fol. 5 v.
Gospels. Without place and year. [Moscow : anonymous printing house, about 1555]. Fol. 3. Gospels. Without place and year. [Moscow : anonymous printing house, about 1555]. Fol. 2. Lenten Triodion. Without place and year. [Moscow : anonymous printing house, about 1556]. Fol. 253 v.
Gospels. Without place and year. [Moscow : anonymous printing house, about 1555]. Fol. 1. Gospels. Without place and year. [Moscow : anonymous printing house, about 1560]. Fol. 1. Gospels. Without place and year. 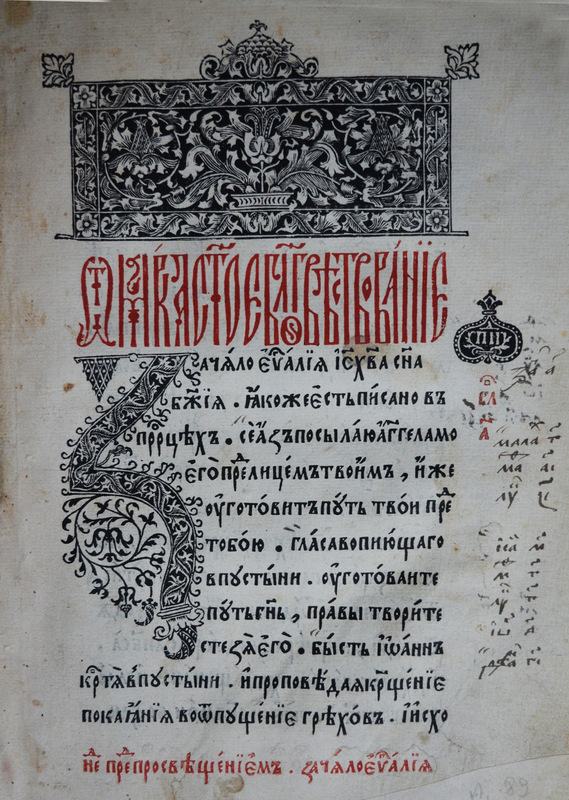 [Moscow : anonymous printing house, ок 1564]. Fol. между л. 104 и 106. Psalter. Without place and year. [Moscow : anonymous printing house, после 1564]. Fol. 4 (1-го счета), начало 1-й кафизмы, украшено гравированным цветком на поле. Psalter. Without place and year. [Moscow : anonymous printing house, после 1564]. Fol. 13 (1-го счета), начало 2-й кафизмы, также украшено гравированным цветком на поле. Psalter. Without place and year. [Moscow : anonymous printing house, после 1564]. Fol. 23 v. (1-го счета), в начале 3-й кафизмы, как и всех других кафизм, нет украшений на поле.